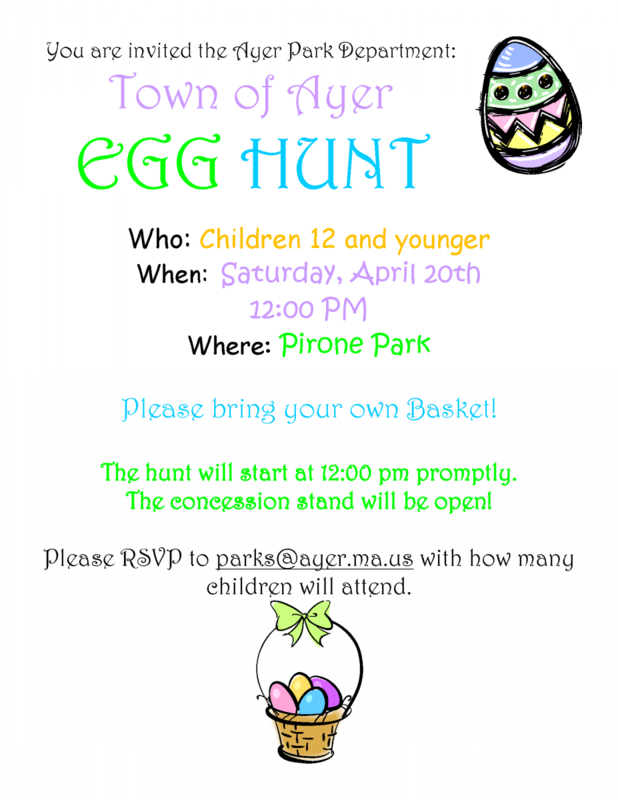 Save the date for the Town of Ayer Egg Hunt! A fun event from the Parks Department for children 12 years and under. Bring your own basket and please rsvp to parks@ayer.ma.us with how many children will attend.